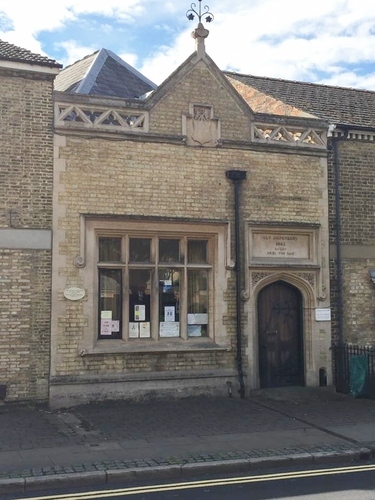 This "buff coloured brick building with stone rusticated quoins and a carved stone parapet of "Gothic" design"1 was built in 1865 as a Dispensary for the cathedral city of Ely (13, St Mary's Street). 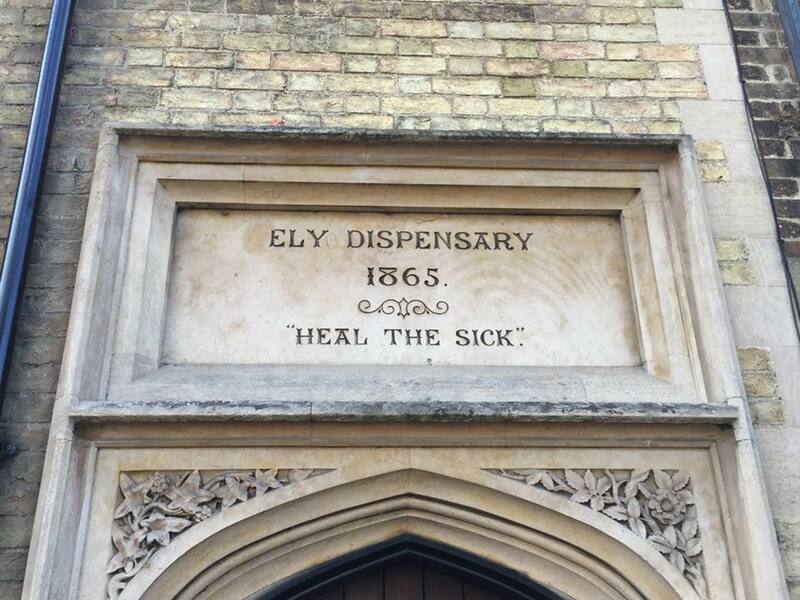 The inscription on the entrance door reads "Ely Dispensary 1865. Heal the Sick". The building was listed among the British Listed Buildings in 1972. 1. See the official record in the British Listed Buildings website.